THE B-MOVIE NEWS VAULT: Scream Factory gives you a double dose of hairy palms with TEEN WOLF and TEEN WOLF TOO! 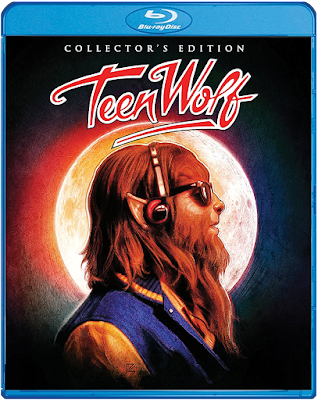 Scream Factory gives you a double dose of hairy palms with TEEN WOLF and TEEN WOLF TOO! 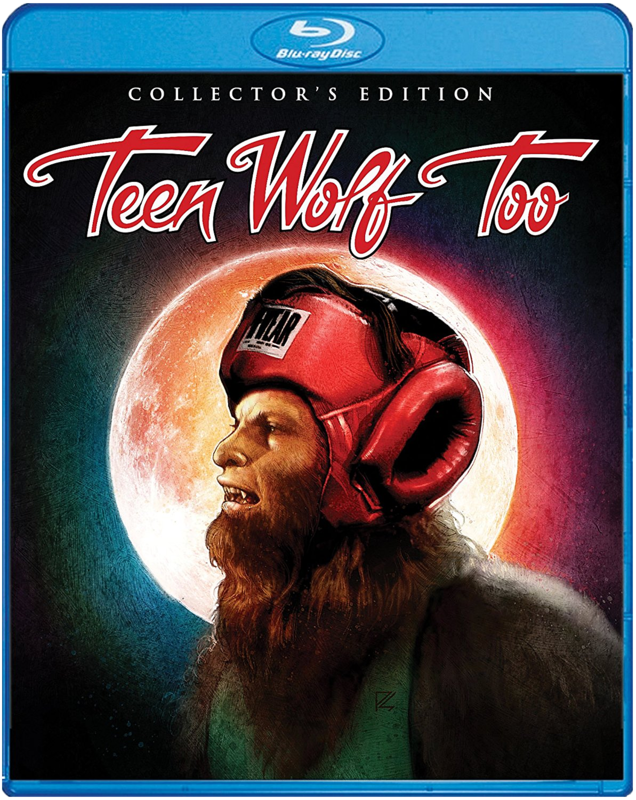 SCREAM FACTORY BRINGS "TEEN WOLF" AND "TEEN WOLF TOO" TO BLU-RAY IN NEW COLLECTOR'S EDITIONS ON AUGUST 8TH! And though I would have preferred both films paired up in a single double-feature release, the new transfers and extras more than make up for it! If you're a fan of both films (i.e. TEEN WOLF, because honestly, who is even remotely excited for the sequel? Besides me?) then scroll on down to see the fulls specs and extras so that you can rationalize adding them to your collection! TEEN WOLF Synopsis: "He Always Wanted To Be Special … But He Never Expected This!" Like all teenagers, Scott Howard (Michael J. Fox, the BACK TO THE FUTURE trilogy) is going through some … changes. But unlike the rest of the students at Beacontown High School, Scott's changes include long hair that covers his entire body, claw-like fingernails, fangs, a heightened sense of smell, superhuman strength and the extraordinary ability to … play basketball? And that's just the beginning. Naturally, these uncanny new features turn this lovable loser into the most popular kid in school. But by embracing his newly minted popularity, has the "Teen Wolf" lost sight of what it truly means to be Scott Howard? NEW! High-Definition Film Transfer Taken From The Interpositive! TEEN WOLF TOO Synopsis: "High School Was Easy, But College Is A Whole Different Animal!" Jason Bateman (HORRIBLE BOSSES) stars as Todd Howard, a Hamilton University freshman with a full athletic scholarship — only Todd has no idea why, since he's far more interested in veterinary medicine than sports. But his boxing coach, Bobby Finstock, is very familiar with the Howard family secret and he's hoping he can use it to his advantage. When the whole school — including Todd — finds out that he's a werewolf with superhuman abilities, Todd's popularity skyrockets and he becomes the big wolf on campus. But is his fame a gift? Or a curse? And can he keep it from getting in the way of the relationships he has with his best friends and girlfriend? Perhaps a little guidance from his professor (Kim Darby, TRUE GRIT), who has a secret of her own, may help Todd learn the biggest lesson of all. Working With The Wolf – An Interview With Director Christopher Leitch. Otherworldly – An Interview With Co-star Kim Darby. A Man of Great ‘Stiles’ - An Interview With Co-star Stuart Fratkin. Nerdy Girl Saves the Day – An Interview With Co-star Estee Chandler. A Wolf In ‘80s Clothing – A Look At The Wardrobe Of Teen Wolf Too With Costume Designer Heidi Kaczenski.